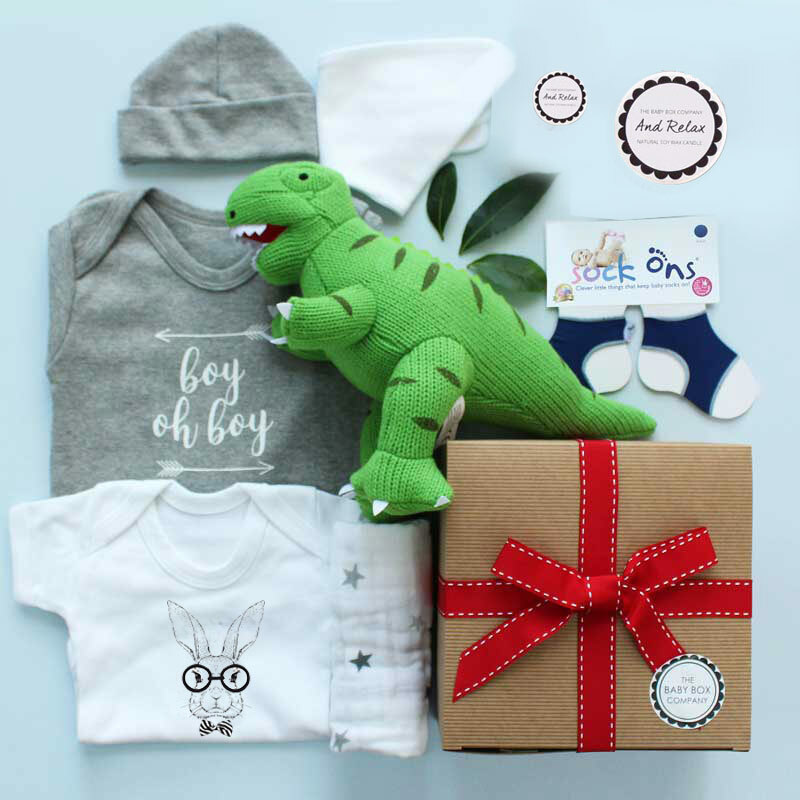 Our luxury baby boys hamper is filled with all the newborn gifts that any new little prince could wish for. George the Dinosaur - a knitted soft toy in bright colours that looks great in any of our boxes. 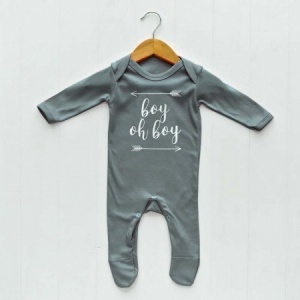 Sleepsuit in grey - Can be used as a day or night outfit, featuring our unique 'Boy Oh Boy' print. 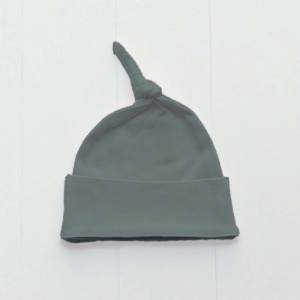 Size 0-3 months in 100% cotton. 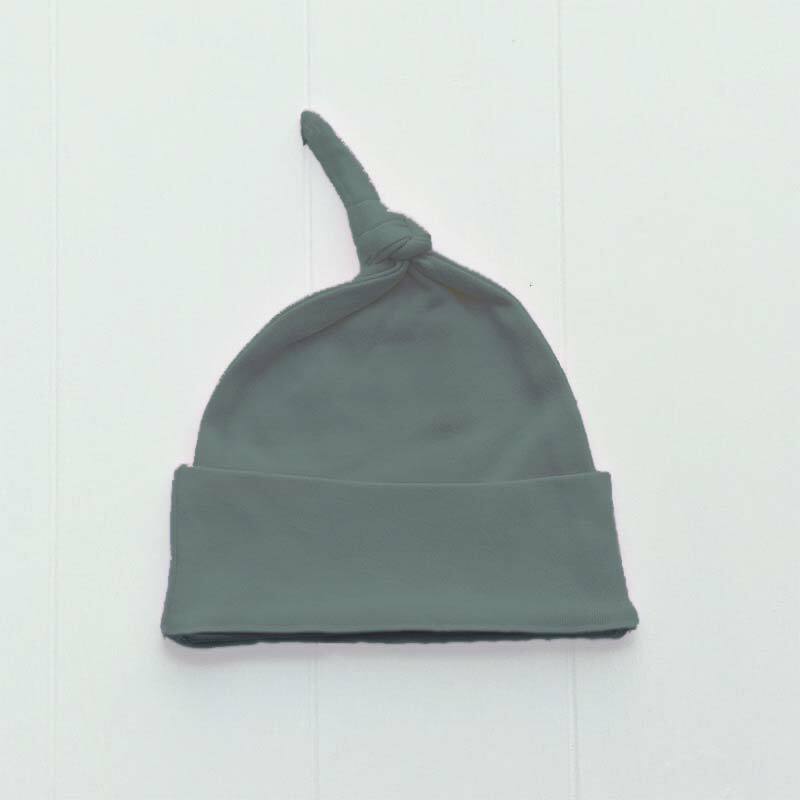 Knotted Hat in grey - to match the sleepsuit and give a great outfit option. Age 0-6 months. 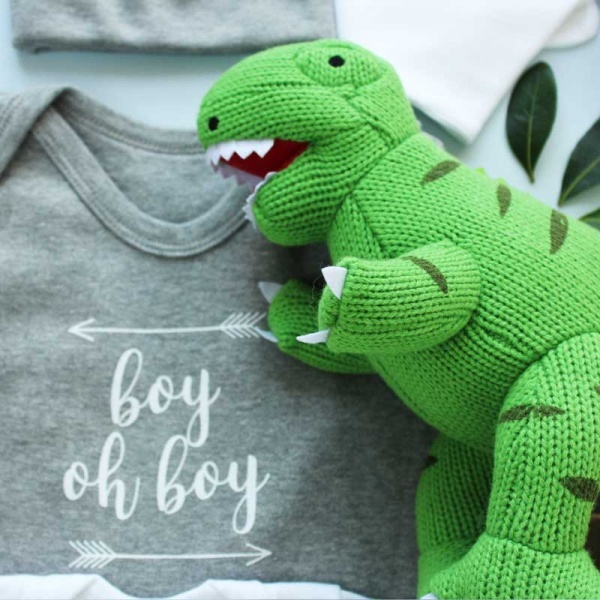 Bodysuit in white - Can be worn as a vest or cute summer outfit, and made from 100% cotton. 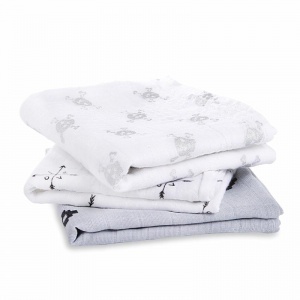 Feature's hand-printed bunny face to the front. Age 0-3 months. 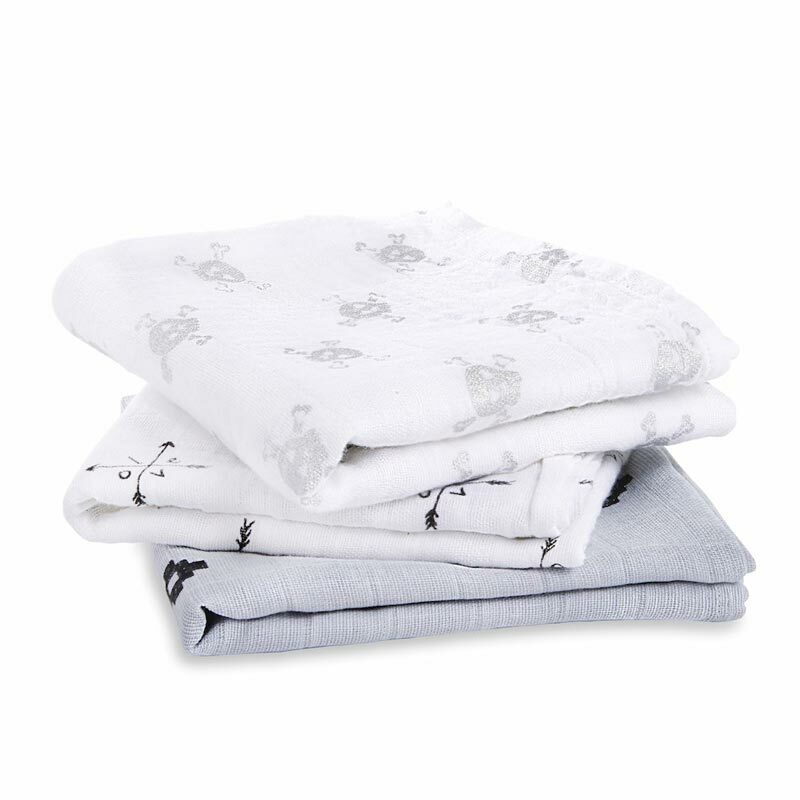 Aden & Anais muslin cloth - A pure cotton muslin, star printed muslin cloth by designer brand Aden & Anais. 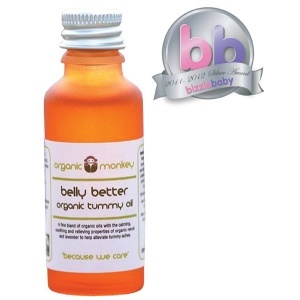 Perfect for use as a baby burp cloth. 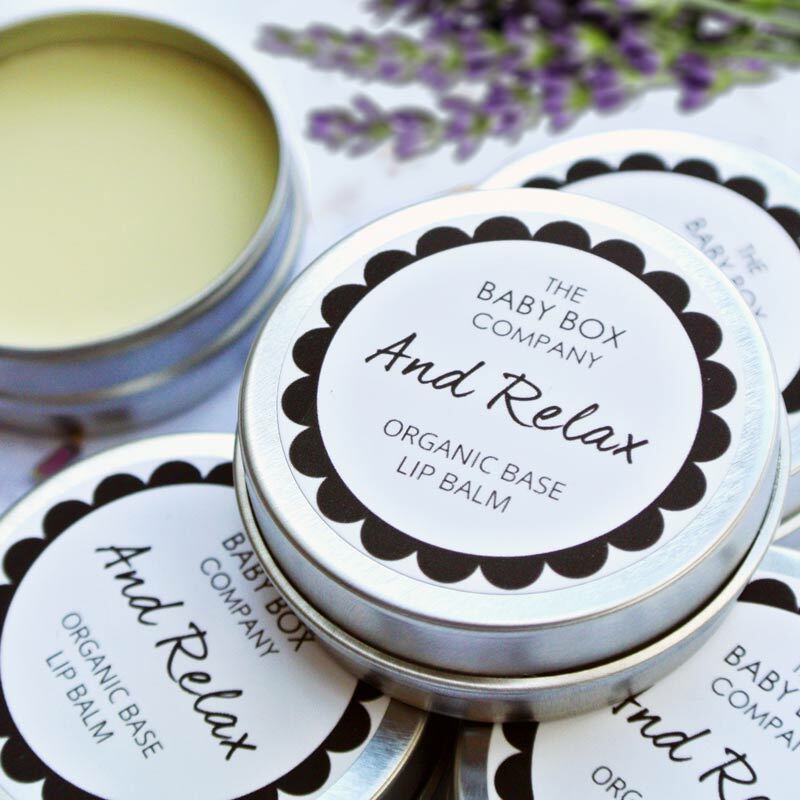 The Baby Hamper Company lip balm - a beautifully scented handbag size lip balm, a perfect treat for any new mum. 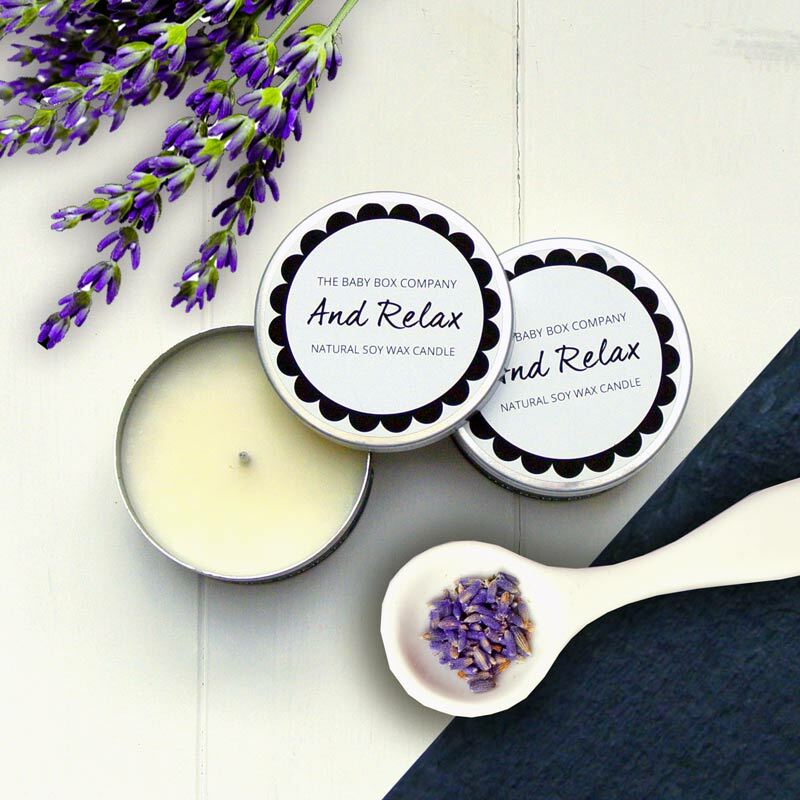 The Baby Hamper Company scented candle - A luxury scented tin candle with soothing scents of Lavender and Geranium. Sock On's in navy - An essential new baby item. 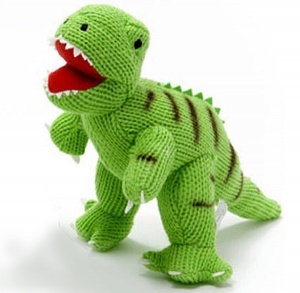 To be worn over socks to keep them on little feet! All our hampers are hand packed to order, so feel free to add any additional items to your box and send a little extra love. Our luxury gift wrap is FREE of charge on all orders!